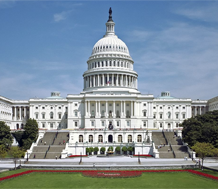 Register for the Congressional Briefing on School Safety and Violence Prevention. This Congressional Briefing will bring together the nation’s leading researchers and policymakers to discuss the current state of knowledge and cutting-edge approaches to improving school safety. Gregory Austin, Director of WestEd’s Health & Justice Program, will be among the guest speakers. The Center for Evidence-Based Crime Policy, in collaboration with WestEd, will host the briefing. Register today. Registration is free but required due to limited seating. For more information, visit the Congressional Briefing on School Safety and Violence Prevention web page and/or download the flyer [PDF].